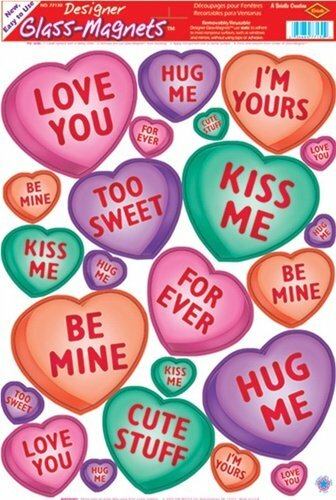 Contains: (23) Reusable Valentine Candy Heart Window Cling Shapes per Sheet. Bring Your Windows To Life! Window Friendly - Clings to any glass or non porous surface without the use of adhesive.